I can't even tell you how enjoyable it was to make this little quilt. 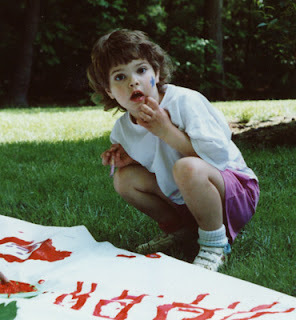 I liked everything about the process! 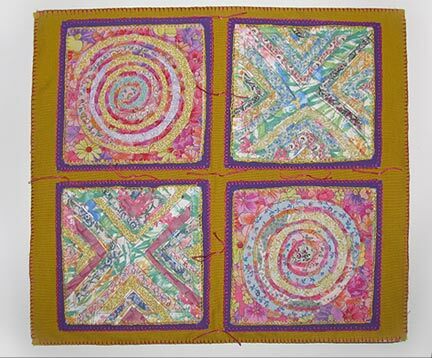 You can see how the squares were made in reverse applique post from last week. This week I'll show you how I assembled the finished project. 1. I chose a framing fabric and a background fabric and backed them with lightweight fusible interfacing. 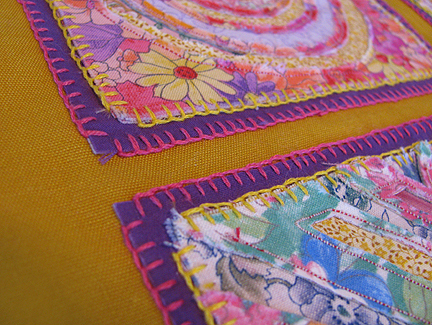 Using blanket stitch with all 6 strands of embroidery floss, I first stitched the block to the framing fabric (purple) and then stitched that to the background fabric (ochre). 2. The background fabric needs to be squared up and trimmed to the finished size. 3. 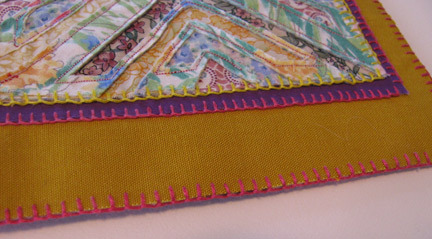 Add a thin layer of natural fabric batting and a backing fabric to the sandwich. Pin in place and cut them even with the top. 4. 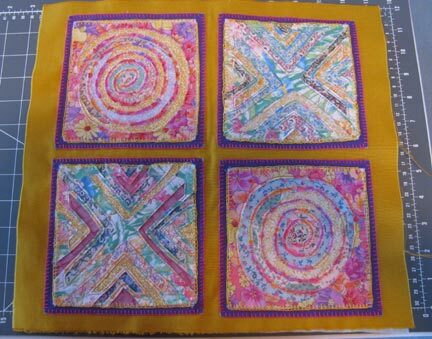 I decided to tie rather than quilt the layers. 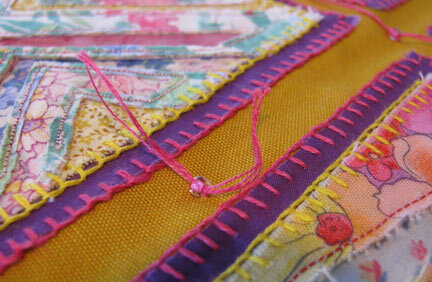 Using large-holed seed beads and embroidery floss, I tied just enough spots to keep the quilt from sagging. 5. 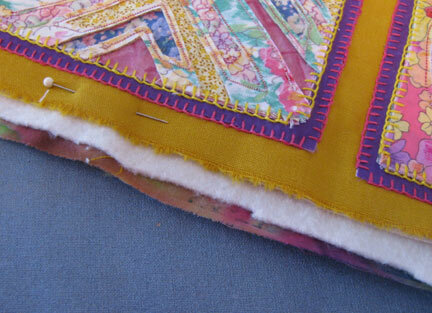 Blanket stitch around the entire outside. You can add beads if you'd like, but I left it plain. I thought there was enough going on with the colors that I actually ended up rejecting adding beads. Shock! Lovely, Cyndi! Reminds me of tic tac toe! Hugs and kisses - how perfect. I love the color contrasts you've chosen. This will be beautiful on someone's wall. P.S. I thought of tic tac toe too!